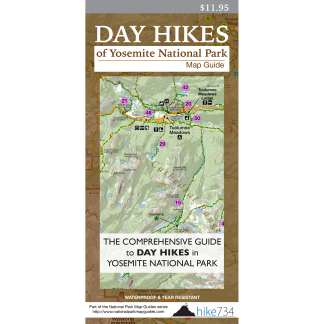 This short hike takes you to amazing views of Tenaya Canyon backdropped by Clouds Rest and Half Dome. 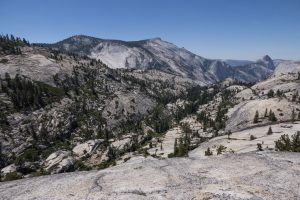 At Olmsted Point there is a popular vehicle pullout that offers a fantastic vantage, however it’s well worth it to walk down the granite steps to the trail. Continue through the junction where the trail pops out to sprawling views of the vast granite landscape. Trailhead: Look for the small, signed parking lot for Olmsted Point along the Tioga Road.